Building up the Internationalist Academy with an ecological ethos, to serve as a working example for comparable projects and concepts for the entire society. The academy will facilitate education for internationalists and for the general population of Rojava, to strengthen awareness and environmental consciousness, pushing to build up an ecological society. Joining the work of ecological projects for reforestation, and building up a cooperative tree nursery as part of the Internationalist Academy. Material support for existing and future ecological projects of the Democratic Self-administration, including sharing of knowledge between activists, scientists and experts with committees and structures in Rojava, developing a long-term perspective for an ecological Northern Syria Federation. Realization of the concepts of an ecological life and work in the Internationalist Academy, partly with the building up a nursery as a part of the Academy. In the spring of 2018, we will plant 2,000 trees in the area of the academy, and 50,000 shoots in the nursery. Practical and financial support for the Committee for Natural Conservation in the reforestation of the Hayaka natural reserve, near the city of Derik, in Cizire Canton. Over the next five years, we plan to plant more then 50,000 trees along the shores of Sefan Lake. 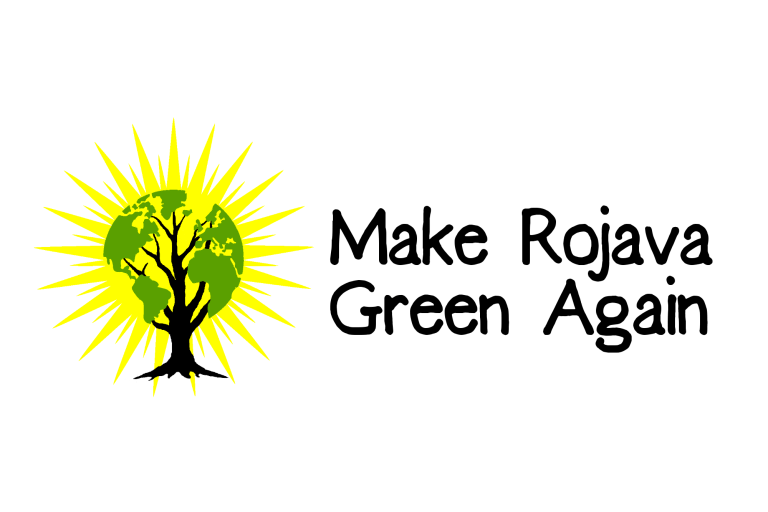 These are some of the ways people can support the the campaign ‘Make Rojava Green Again’, the ecological work in Rojava, and revolution in Northern Syria. Share this campaign with activists, scientists, and experts from fields such as ecological agriculture, forestry, water supply, and sustainable energy production. Contact and liaise with activists, journalists, politicians and others who would be interested in this campaign. Write, publish and share articles and interviews about the campaign. Share information with friends and family. Spread the word about the growing ecological revolution in Rojava. Establish contacts between persons/groups/organizations and the Internationalist Commune of Rojava.